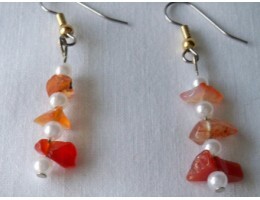 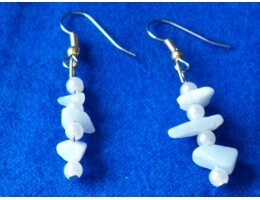 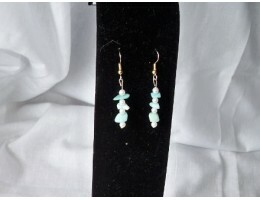 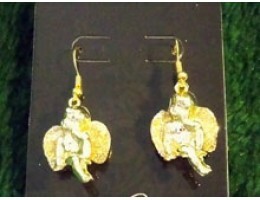 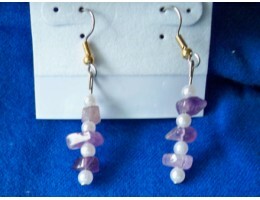 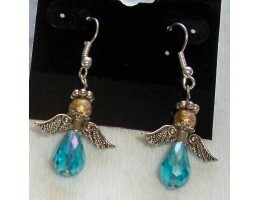 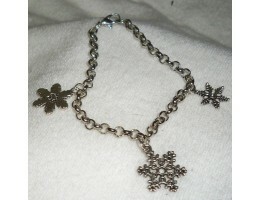 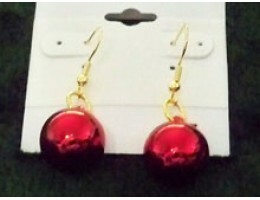 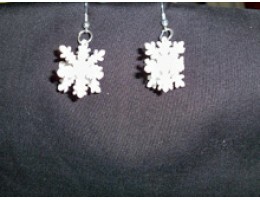 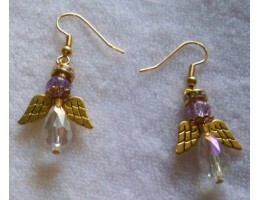 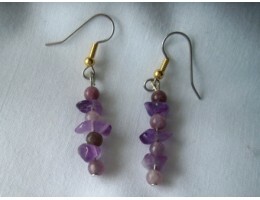 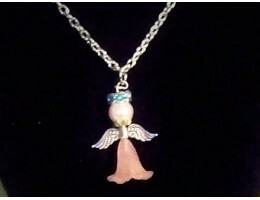 Handmade jewelry including necklaces, earrings, bracelets, rings, and hair accessories in various materials. 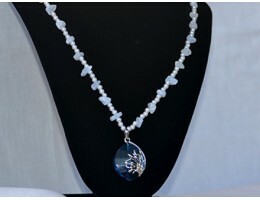 What a stunning piece! 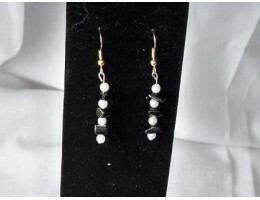 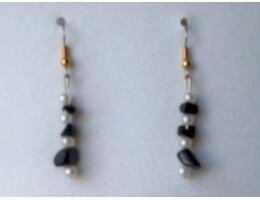 I have mixed blue goldstone gemstone pieces with white glass pearls and for t.. 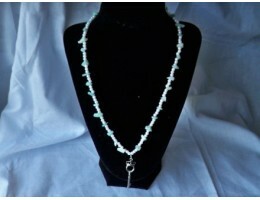 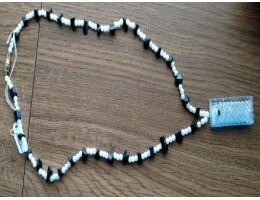 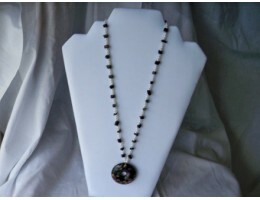 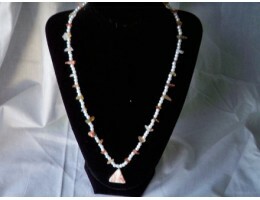 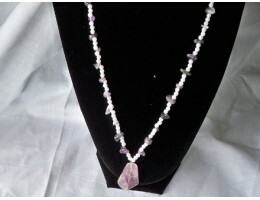 This is a striking necklace created from a small triangle-shaped agate surrounded by small white pea..